We love the romance. But we love a good party, too! Ravenna Weddings is all about fun because we're all about you. When friends and family come together to celebrate you and your love for each other it's genuinely our honor to be part of it. We know it's a once in a lifetime event, and you won't catch us leaving early. This is special! Seattle-based Ravenna Weddings photography blends elegant portraiture with candid photojournalism to capture the extraordinary moments of this once in a lifetime event. We’ll capture the most important moments down to the finest details in an unobtrusive style. Working with at least two photographers at any given time we can be behind the scenes and up close, covering all the angles, so you won’t miss a thing. You are our client and we want to give you exactly what you want. Tell us what’s on your mind. We’ll put it on a DVD or in a book. We can also make audio/visual slideshows for your TV or computer. All photos will be available to your guests on your own secure website. Give us a call! Tell us what we can do for you. This is going to be fun! Woof! 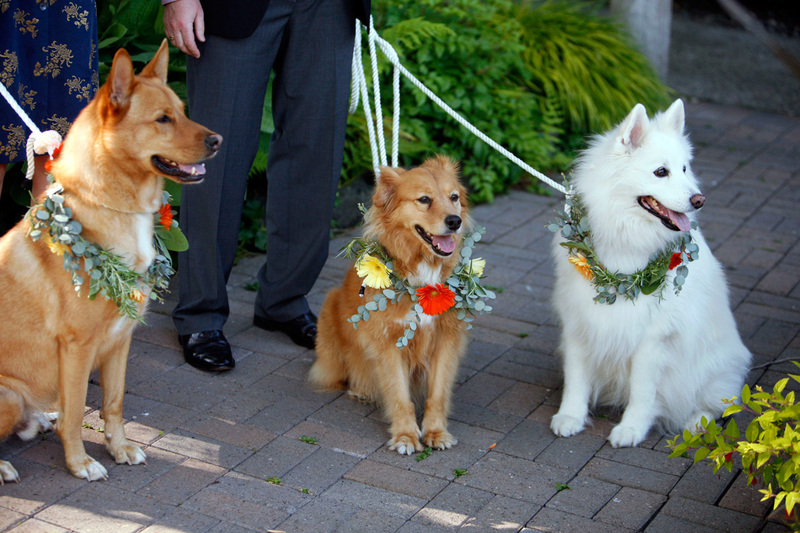 We welcome pets in weddings.